Get longer, fuller lashes without breaking the bank–and WITHOUT a prescription! 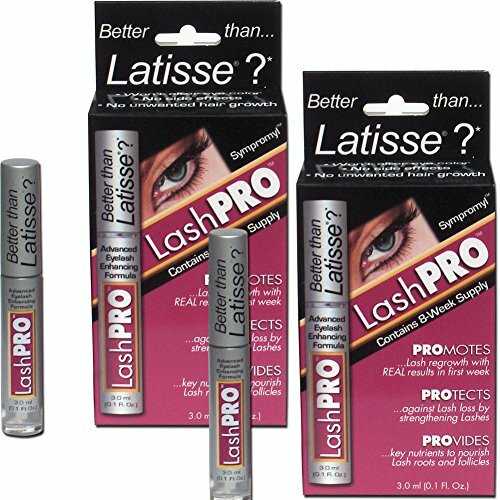 Equally as effective as popular prescription brands, LashPro offers real results within first week of use! High-potency polypeptide formula promotes lash regrowth, protects against loss, and provides key nutrients to nourish roots and follicles. Other brands can cause unwanted hair growth on skin, eyelid discoloration, and even permanent iris discoloration! LashPro delivers better, quicker results without the side effects. Just use the applicator brush on clean upper eyelash base once daily before bedtime for beautiful lashes. Non-irritating, prostaglandin-free, paraben-free formula. 3 ml. bottle.